My friend Icie Thursday and I have been rocking around the grid hunting wicked little globes this week. Although we have checked out some live music, the amount of time spent at the shows does not equate to the copiuous amounts of time spent in our inventory panels. 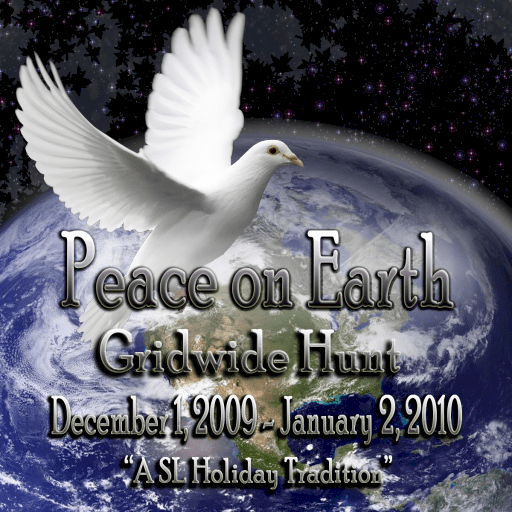 So this week has been officially dedicated to the Peace On Earth Hunt!